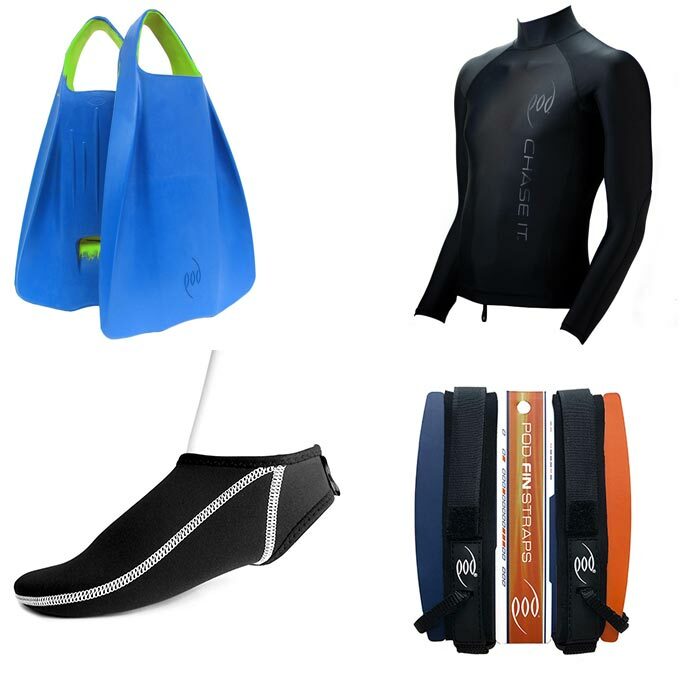 Is designed with both the casual swimmer and avid enthusiast in mind, catering to the best of both worlds. Our signature PF-series swim fins have received rave reviews and are a best seller among POD products. We know that when it comes to swimming for long periods of time, comfort and reliability are a priority. That’s why we’ve created a line of rubber swim fins that stay comfortable for hours at a time and are rugged enough to sustain long sessions. Our neoprene rash guards and fin socks are also designed to give you total relaxation, allowing you to enjoy the water without a second thought. All POD swimming supplies are made from premium grade materials and designed to last for years of enjoyment. Before browsing other sections of the site, be sure to check out our PF1 fins, the best swimming flippers you’ll find on any online surf shop.